Black Box Network Services (UK) Ltd announced today it has achieved Premier Partner Certification from Cisco®. To earn Premier Certification, Black Box Network Services had to meet standards for networking competency, service, support and customer satisfaction set forth by Cisco. “Today’s dynamic communications market requires a partner process to adapt and transform technology to drive business results and at Black Box, we believe communication is an organisation’s most important process. 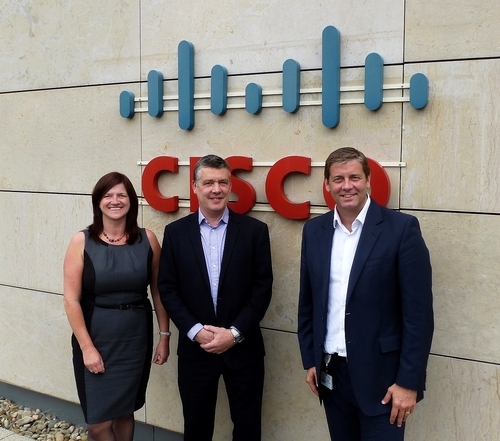 Black Box as Premier Partner and working together with Cisco at this level now creates further value to our propositions” said David Long, Director of Sales & Marketing UK & Ireland, Black Box Network Services. Black Box Network Services is a leading technology solutions provider dedicated to helping customers build, manage, optimize, and secure their IT infrastructure. Our services include design, installation, commissioning, product procurement, and maintenance of your network infrastructure. With a global presence and over 4,000 team members, Black Box services more than 175,000 customers in 141 countries.